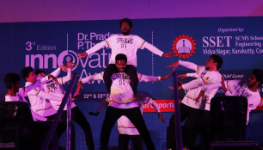 A Cultural eve - Kalavrindh - held in connection with Dr. Pradeep P Thevannoor Innovation Awards - 2017. 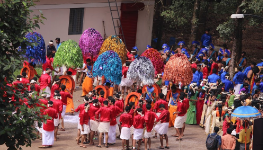 IGNIZ is a techno cultural fest held at the campus. The official launch of the event was held on March 2018. THe event was held in April 6 and 7. IGNIZ is a biennial national level techno cultural extravaganza. 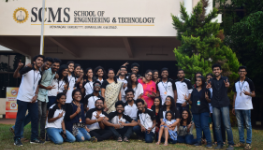 Its 2018 version was held on April 6th and 7th 2018 at the campus with more vigour. 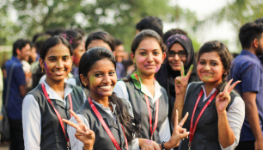 Students across various parts of the nation participated in the event. 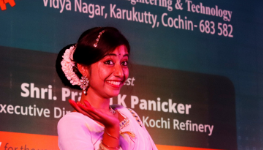 Roweena Theresa James, bagged first prize in Bharatanatyam and Kuchipudi, and second prize in Mohiniyattam during Brahma 2018, National level techno cultural fest organised by Adi Shankara Institute of Engineering and Technology during March 2018. Ascendio 3.0 is a national level annual technical and cultural fest of conducted by IEEE SSET SB.